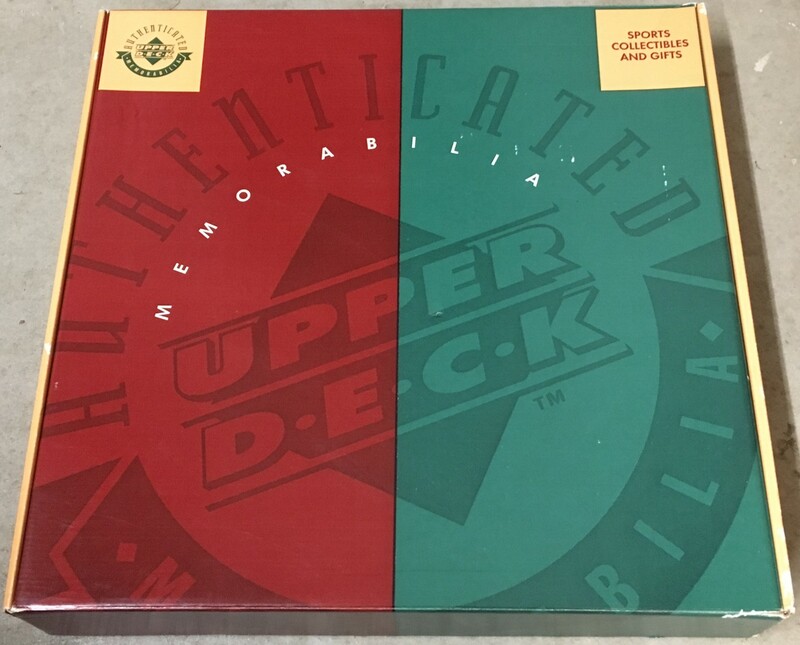 Upper Deck Authenticated (UDA) mid to late 1990s green and red gift box for jerseys. Measures 18x19x3 inches. Empty and used but in good condition with only minor dents, dings, scuffs or scratches. 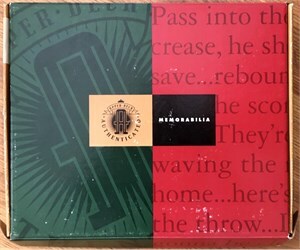 Will have various stickers and/or writing on one edge. NOTE: UDA jerseys offered by AutographsForSale.com do NOT include the gift box unless otherwise stated in the description.